The lives of black and white Chicago residents could hardly be more different. The Windy City, which is currently contending with a series of police shootings of black Chicagoans, is the most segregated major metro area in the nation. And it's been in the top 3 in terms of segregation for many years, according to the Voorhees Center for Neighborhood and Community Improvement at the University of Illinois at Chicago. 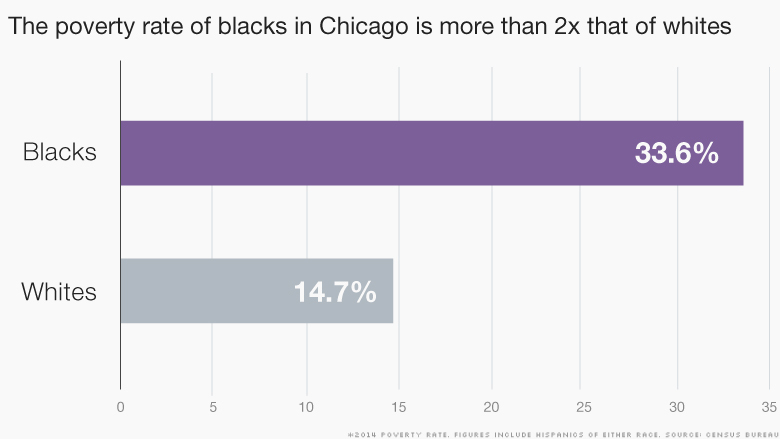 In Chicago, blacks and whites live clustered in separate parts of the city. In fact, some 72% of black or white residents would have to move to a different census tract to even out the numbers, according to a commonly used segregation measure called the index of dissimilarity. In New York, the figure is 65% and in Philadelphia, it's 63%. "Even in a country marked by high levels of segregation, Chicago stands out," said Richard Reeves, a senior fellow at Brookings who recently co-authored a blog post on inequality in Chicago. Over the past 40 years, there's been a marked increase in the number of very wealthy and very poor Chicagoans, said Janet Smith, co-director of the Voorhees Center. The middle class, meanwhile, has moved to the suburbs. Young, white, highly educated professionals are moving to Chicago's North Side along Lake Michigan and neighborhoods west of the downtown, while very low-income areas in the city's South and far West sides are also expanding. "In 1970, Chicago had a lot of middle-class families," Smith said. "That's not the case anymore." The population shift is one reason why the income of white residents has risen steadily since 1990. While blacks saw their income climb a bit at the end of the last century, it has since fallen below 1990 levels, according to Census figures. 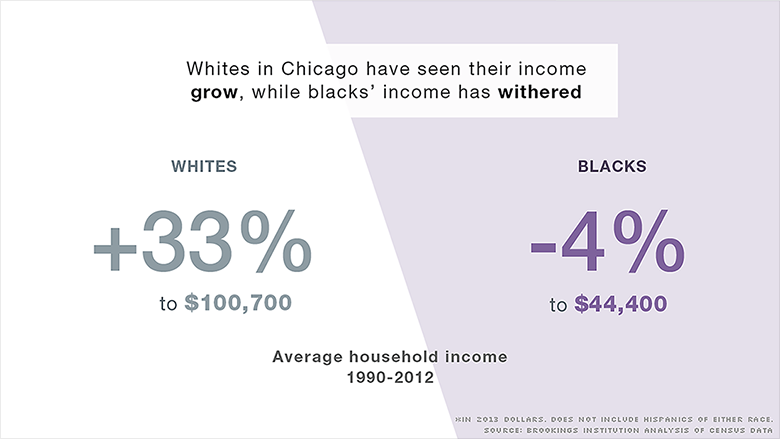 More than one-third of Chicago's black residents are poor. But that statistic doesn't show how concentrated poverty is. Just over half of census tracts with a majority black population have more than 30% of families living in poverty, according to Reeves' post. Only 2% of predominantly white census tracts have that high a percentage of families in poverty. On the flip side, only 7% of majority black tracts have fewer than 10% of families in poverty, while 81% of majority white tracts do. Previous housing and mortgage policies that kept black residents confined to Chicago's poorer neighborhoods also limited their ability to buy homes and build wealth. As a result, many black residents rent for generations. "The scars of segregation, redlining, housing policies and discrimination are still very visible today," said Lauren Nolan, economic development planner at the Voorhees Center. 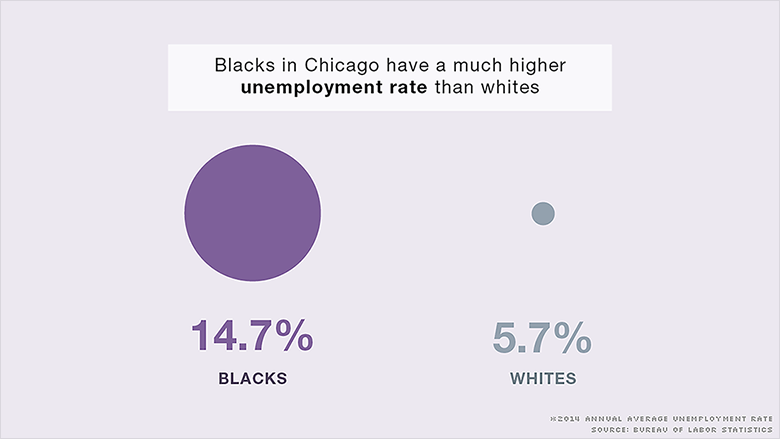 Unemployment among blacks is higher in Chicago than it is nationally, and the gap between whites' and blacks' unemployment rates is larger. Whites had an average annual unemployment rate of 5.3% in 2014 nationally, while the rate for blacks was 11.3%. 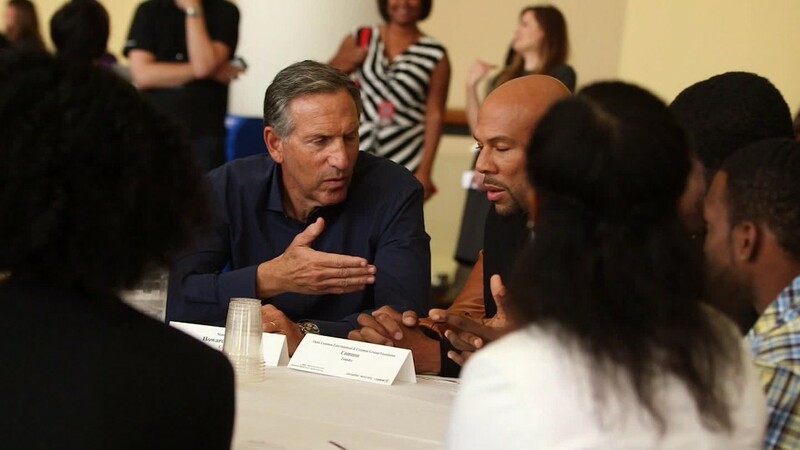 One reason why so many blacks in Chicago are out of work is because of the loss of manufacturing jobs on the city's South side over the past 15 to 20 years, Smith said. This also adds to blacks' higher poverty rates and declining incomes.